Enjoy award-winning Beats sound with Class 1 Bluetooth® wireless listening freedom. Beats Solo3 Wireless ( Gloss Black ). BEATS BY DR. DRE. BEATS SOLO 3. - GLOSS BLACK -. User Guide. New Carrying Case w/ carabiner. 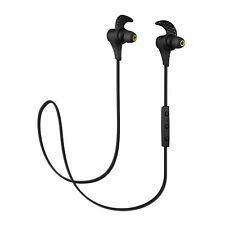 They feature secure-fit earhooks and a sweat- and water-resistant design optimized for workouts in particular, and life in general. The presence of Apple's proprietary W1 chip makes the process of pairing as painless as placing the product in proximity to your phone and powering it on. Carrier Unlocked device is permanently compatible with any GSM carriers in the world. You will be able to make phone calls. But you might need to set up the proper APN in the setting to get data service (ie. ). Beats Studio 3 Wireless Headphones. 100% Working! Original Beats Headphone. Apple W1 chip for Class 1 Wireless Bluetooth® connectivity and battery efficiency. Pure ANC off for low-power mode provides up to 40 hours of battery life. 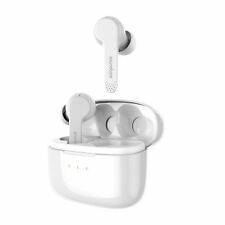 *New* Anker Zolo Liberty Wireless Earbuds. Wireless headphones are the only choice for sports, workouts, commuting, or any activity that takes you away from home. These headphones are perfect for inside activities too, such as private TV listening. Most of them feature Bluetooth® so you can listen to music and answer telephone calls in the car. 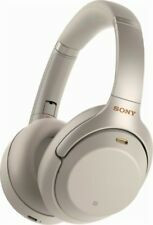 Find the largest variety of wireless headphones on eBay and choose your perfect pair. Wireless headphones have finally become more popular than the wired models, mostly due to the vast sound quality improvements in the current version of Bluetooth and a reduction in price. Some new Smartphones no longer have headphone jacks. This means that wireless headphones could be the only choice for mobile listening in the not-too-distant future. What are the different types of wireless headphones? This design keeps out the noise. Used by recording professionals and musicians everywhere, the sound stays inside your ears and doesn’t escape to interfere with those around you. Over-the-ear headphones are better at this than the on-ear models. These allow the sound to flow out the back of the headphones, and some outside noise to get in. Why do people choose these? They can provide the ultimate in fidelity. They are balanced from bass to treble, with a soundstage approaching the effect of stereo speakers. You can hear the instruments and vocals positioned as the sound engineer intended. This style also applies less pressure to your head, making them more comfortable for extended periods. When you want to balance great sound with comfort, choose On Ear headphones. These are perfect when you don’t mind a little music escaping, or a little noise getting in. These provide the sound of stereo speakers, so you can localize instruments and vocals. And you get the superior sound without the sweat, a problem common with over-ear headphones. Some models are foldable, making them easy to throw in a backpack or bag. A couple of examples are the Bose Soundlink® and the Beats Solo®. These are also known as earcups, which explains their design quite well. These headphones are a bit heavier than the other types and cover your ears completely. Some people prefer the noise isolation and excellent sound quality, with that stereo-speaker soundstage that can put you in the room with the musicians. These may not be the best choice for extended wear while gaming or working in the studio, as you tend to sweat and they can become a bit heavy over time. The sound quality of in-ear headphones has improved drastically over the past few years until many models equal the fidelity of on-ear and over-ear styles. These fit inside your ear canal to provide noise isolation and excellent bass. Most come with a selection of ear tip sizes to customize the fit to your ears. These are made of either silicone or memory foam. For extended wear, memory foam is the best choice as they cause less irritation. The silicone ones can cause “sound haloing” if used for more than four hours at a time. These were popularized by Apple®, which introduced their version in 2001. This style consists of a little round speaker that fits in the outside of your ear canal. Some people prefer these when the in-ear versions are uncomfortable for them. Although they can sound quite good, they do tend to fall out and aren’t the best choice for sports. They don’t seal as well as in-ear and over-ear models, so they are probably not optimal for sound isolation. One feature in which they excel is value, and you will generally pay less for these than the other types. 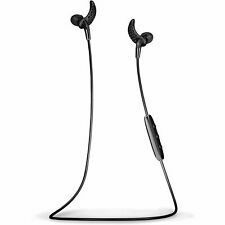 These can be either in-ear or earbuds and were designed to stay on your ears during exercise and other outdoor activities. They feature a clip that goes behind the ear, like sunglasses. They are usually resistant to sweat and water. Some of these offer excellent sound, but try a pair before you buy, as the fit doesn’t work for everyone. These headphones are perfect for the gym or the commute, but with a battery life usually fewer than five hours per charge, remember to plan your day accordingly. This technology allows you to connect multiple devices from across the room (Class 2) or from up to 328 feet away (Class 1). You can easily “pair” your Bluetooth-enabled device with any compatible headphones for freedom from cables. Bluetooth headphones have become more popular than wired headphones. 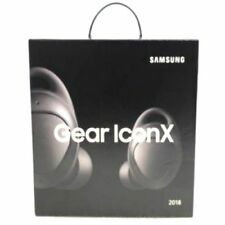 In the past, people would stay away from Bluetooth because of inferior sound quality as compared to the cabled versions, but after the last few Bluetooth releases, this is no longer the case. Sports, commuting, workouts, anytime you’re active, Bluetooth is the best choice. Battery Life -- Over-ear and on-ear headphones have more physical space available, so they will last quite a bit longer between charges, up to 35 hours for some models. In-ear and earbud designs average around four-to-five hours of battery life, although some styles offer more. Active Noise Cancelling -- While over-ear and in-ear models use passive noise cancelling by physically blocking the sound, another type is called active noise cancelling. Headphones with this feature have microphones that pick up the surrounding frequencies and then generate an out-of-phase signal to cancel the noise. When perfect freedom from the distractions of the outside work is your priority, choose headphones with this feature. Microphone Array – If you use your headphones for business or other important calls, microphone quality is extremely important. You want to be heard clearly, to minimize confusion. Microphone arrays are the best technology for this, as they focus the sound reception area to minimize outside noise. Earpad Materials – Earpads can be constructed of a variety of materials offering different levels of softness, sound reduction, and comfort for extended wear. If you plan on long-term wear of on-ear or over-ear headphones, pay careful attention to the type of earpads. Controls – Check to see if the controls are easily accessible when wearing your headphones, and that they are comfortable to use to adjust the volume of music, answer calls, etc. 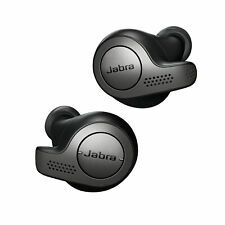 How Do I Choose Wireless Headphones On eBay? Although you have an almost infinite selection to choose from, you can narrow it considerably by making a few choices first. World War II - Hedy Lamarr, a famous Austrian actress, designed a guidance system for torpedoes that used spread-spectrum wireless. She had collaborated with her friend, the composer George Antheil, to develop and bring this technology to the Allies. It was eventually used to detect submarines. Their invention is the basis for both Wi-Fi and Bluetooth. 1989 - Ericsson developed this technology further with the goal of creating wireless headsets. 1998 - The name Bluetooth was standardized when Ericsson, Nokia, Intel, Toshiba, and IBM formed the Bluetooth Special Interest Group. The 1.0 Specification was release a year later. 2000 - The first Bluetooth headset was shipped. 2003 - The first MP3 player with Bluetooth hit the market and one million Bluetooth products shipping per week. 2004 - Bluetooth stereo headphones arrived! While they really didn’t have high-quality sound, they were a preview of great things to come. 2006 - Over one billion Bluetooth devices had shipped. 2008 - Over two billion Bluetooth devices had shipped. 2011 - The iPhone and Windows 8 added support for Bluetooth v4.0, which featured low-energy technology. 2014 - More than 90% of mobile phones featured Bluetooth. 2016 - Bluetooth 5 is introduced, with twice the speed, four times the range and eight times the broadcasting capacity of the previous version. CD quality sound is possible.